Before the Second World War the only Lubavitch presence in the UK was in the form of a number of Synagogues which had an association with Chabad-Lubavitch. Two were in Manchester and one was in Old Castle Street in East London. There was also a Beis Hamedrash in Stamford Hill, run by a Lubavitch chassid, Rabbi Binyaminson. A leading figure in this informal fellowship was Mr Solomon Perrin. 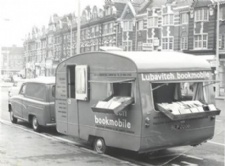 In 1948 the Previous Lubavitcher Rebbe, Rabbi Yosef Yitzchak Schneersohn, sent his devoted follower Rabbi Benzion Shemtov to London with the task of organising a Chabad-Lubavitch presence in order to strengthen Jewish education throughout the UK. Greeted warmly by Mr Perrin, Rabbi Shemtov chose Stamford Hill as the centre of his activities, although he also traveled tirelessly throughout the country. His home in Cranwich Road became a Cheder, run by his wife and daughter Fradel, (later to be the wife of Rabbi Nachman Sudak). Rabbi Shemtov organised other Chedorim in Stamford Hill and in the East End. At the same time he was joined by dedicated personalities such as the late Rev. A.D. Sufrin and libodel lechaim Rabbi Shraga Faivish Vogel, who were to be leading figures in Chabad Lubavitch UK. Activities grew. In 1959 a building was acquired in Stamford Hill - soon to be augmented and rebuilt. The Lubavitch Junior and Senior Schools for boys and girls were founded. The senior Boys School, opened in 1963, was located in Kingsley Way, Hampstead Garden Suburb. Other projects included regular classes and meetings organised by the Lubavitch Youth Organisation, work on campus run by the Lubavitch Council for Universities and Colleges, Adult Education, the Lubavitch Women's Organisation, publications, children's day camps and overnight camps, and 'Lag B'Omer Parades'. 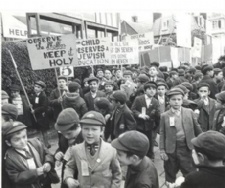 In 1967, when Lag B'Omer fell on a Sunday, more than a thousand children took part in the Parade, coming from thirty different centres around London. 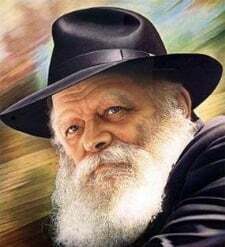 "…This precisely is the basic function of the Lubavitch Centre: To gather Jewish children - children in the plain sense of the word, as well as "children" in terms of knowledge of G‑d, His Torah and Mitzvot - in order to reveal their inner soul and true essence, that they should recognise that "You are the children of G‑d, your G‑d," and should continue to forge the golden chain of their ancestral tradition to the point of veritable self-sacrifice for the preservation of the Jewish way of life, the way of the Torah and Mitzvot." Today there are also centres in Birmingham, Bournemouth, Brighton, Bristol, Cambridge, Edinburgh, Leeds, Liverpool, Nottingham, Oxford, Radlett, Salford and Sheffield. Within easy reach of the UK is Lubavitch of Dublin, Eire. Meanwhile, in London itself, apart from Stamford Hill and Hampstead Garden Suburb there are now Lubavitch Centres in Central London, Ealing, Edgware, Golders Green, Hampstead, Hendon, Ilford, Islington, Shoreditch, Southgate and Wimbledon.